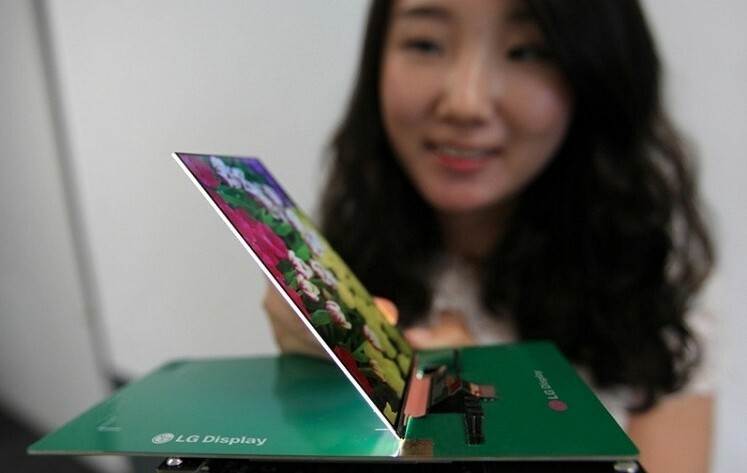 LG on Thursday announced what they are calling the world’s thinnest full HD LCD display for smartphones. Measuring just 2.2mm thick (or thin, depending on your outlook), the 5.2-inch panel boasts a resolution of 1,920 x 1,080 pixels and is said to be brighter than current full HD screens already on the market according to a press release from the company. Creating the new panel required LG to come up with some new technology. Key to creating the panel is LG’s Advanced One-Glass-Solution (OGS), a method that puts dual flexible printed circuits between the panel and touch film. This reduces the number of lines on the panel by more than 30 percent while a direct bonding system has boosted the overall screen brightness to a maximum of 535 nits. It’s no secret that batteries, camera modules and displays are among the thickest components inside modern smartphones. Consumers have shown a keen interest in slim handsets over the past couple of years which has led to some incredibly thin phones like Apple’s iPhone at 7.6mm, Samsung’s Galaxy S4 at 7.9mm and the upcoming Huawei Ascend P6 at just 6.18mm thick. Further refinement of these key components will no doubt continue but perhaps new battery technology could be the most paramount of them all. LG didn’t provide a solid release date for the new panels or any information on what handsets we can expect to see them show up in although one publication believes it could arrive just in time for the Optimus G2.